Moist sandy or gravelly shores, especially of softwater lakes; less often on muddy or mucky shores or on rock. 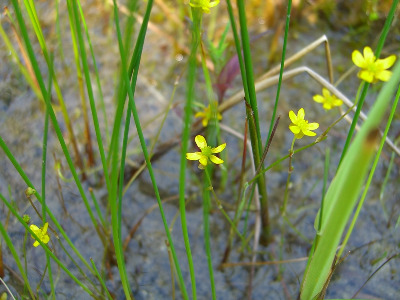 Vegetative plants are often locally abundant in shallow to deeper water of many northern lakes, and can be easily recognized by the arching green stolons, with filiform leaves truncate at the tip. Both aquatic and terrestrial forms root at every node of the creeping stem. MICHIGAN FLORA ONLINE. A. A. Reznicek, E. G. Voss, & B. S. Walters. February 2011. University of Michigan. Web. 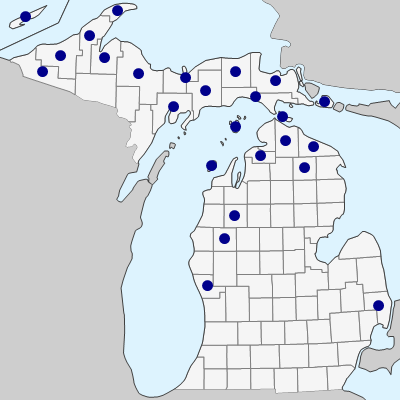 April 24, 2019. https://michiganflora.net/species.aspx?id=2397.